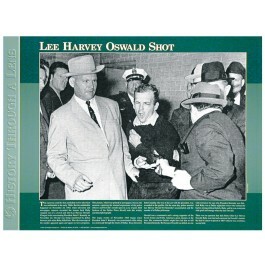 This poster features the dramatic news photo of Lee Harvey Oswald being shot by Jack Ruby on November 24, 1963, in the aftermath of the Kennedy assassination. This poster features a large image of this historic photo. 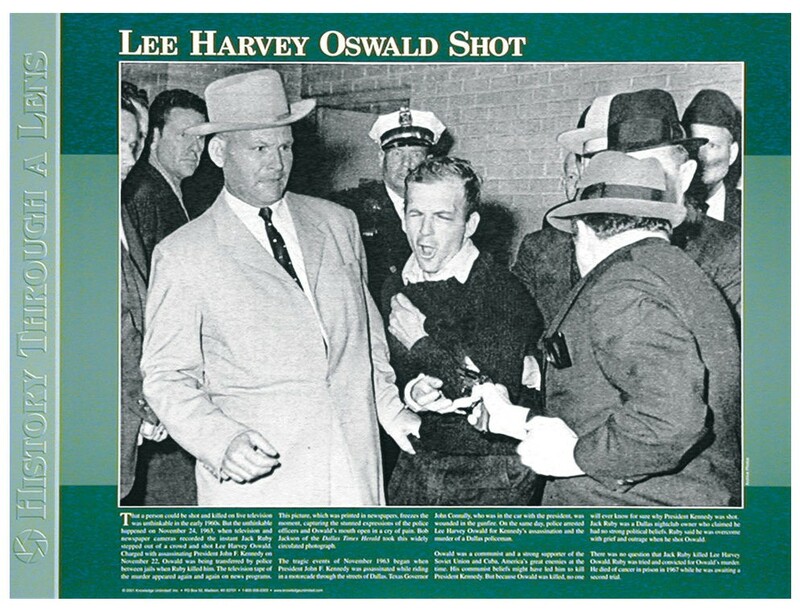 It also contains explanatory text that gives background information about the Kennedy assassination, as well as information about Oswald and Ruby.